Preheat oven to 180degC. Grease 4 ramekins with some butter. 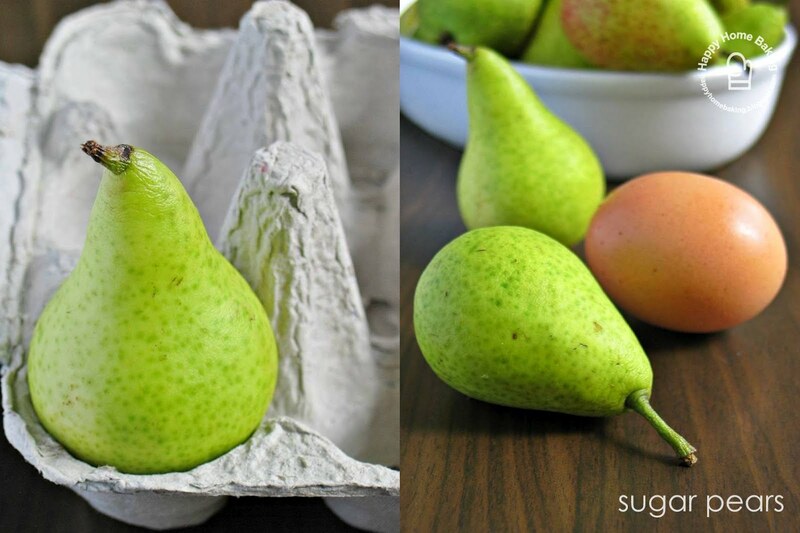 Cut off base of pears, set aside. Sift cocoa powder, set aside. Sift together cake flour and baking powder, set aside. Beat butter and sugar with electric whisk till mixture turns pale, light and fluffy. Add in eggs gradually, beat well after each addition. Add in vanilla extract. Beat to combine. Add in cocoa powder, beat till combined. Fold in flour mixture with a spatula, until just combined. Fill ramekin to half full. 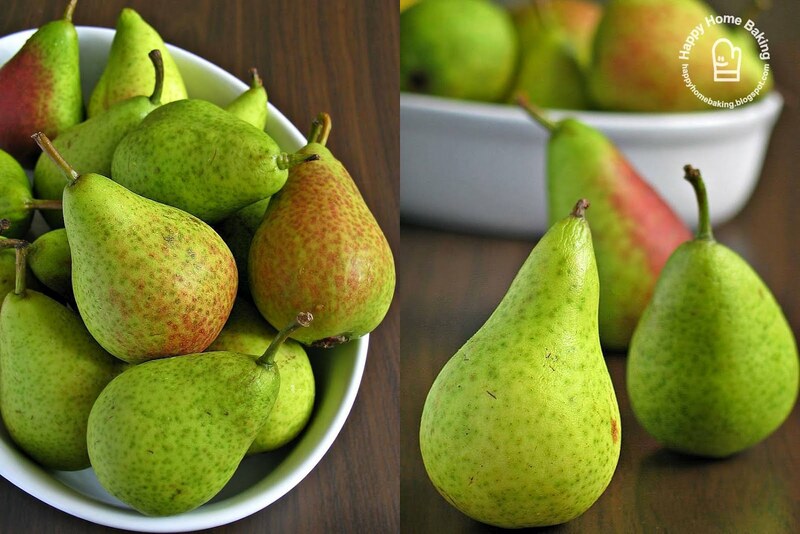 Place a pear in each ramekin. Bake for 16~20mins. Serve warm with a drizzle of honey and dusting of icing sugar. Great with a scoop of ice cream too. I am speechless when I see this. It is so beautiful! Lost for words! This is absolutely gorgeous! hello hhb! this is not really relevant to this post...but may i know where can i buy marsala/coffee liquor for tiramisu? i can't find it at holland v's cold storage..
You have baked wonderful cake! I am not dare to try fresh pear in my cake, afraid it will taste unusual... However, this cake look moist and cause me mounth watering. I can't wait to give it a try! Agapejen, mine didnt turn out as pretty as the photo shown on the site which I took the recipe from...but this dessert tasted really good! The Experimental Cook, I messed up with the dusting of icing suar and drizzling of maple syrup (I ran out of honey) :( I know, you are going to call me the perfectionist, lol! Hi Anonymous, I have never bought marsala, or coffee liquor...maybe you can try look for it at Carrefour suntec? their wine and liquor section is quite big. Angelic Heart, the sugar pears taste good, soft and sweet, they are mini pears, I bought them at ntuc fairprice. ChinnyChinChin, thanks for visiting. I am sorry I do not know much about photography. If you have read my earlier posts, you will know that I am still using a very old camera, and my photos are all point-and-shoot shots. I only know how to use the Auto-mode function ;) Sorry I am of not much help. Wow! These look so beautiful! HHB - your baking skill is jus like a pro! Really enjoy reading and learning from your blog. Thanks so much for posting the recipes. thieveryx, thanks for following my blog :) I am glad to hear that you have started making your own bread, I am sure you have lots of fun! Would you tell me where you get your ramekins from? They're of perfect deepness. Rin, I got the ramekins from Daiso.